The internet offers an instant source of medical information that could prove beneficial for women at high risk of placental complications in pregnancy. Researchers from Toronto recently completed a study into the impact of web-based medical information on high-risk pregnant patients. Patient anxiety was assessed using the State-Trait Anxiety Inventory assessment prior to accessing an educational website created to inform patients about placental complications. Patients were also tested on current knowledge of placental complications. The patients were asked to read the website for a minimum of 15 minutes before returning for a follow-up appointment. Patients who accessed the website were more informed and less anxious at the follow-up appointments. The impact was relevant in patients of all educational backgrounds. Pregnant women benefit from educational portals designed to offer information about complications and medical conditions that pose risk to the pregnancy. Source: Walker MG, Windrim C, Ellul KN, Kingdom JC. 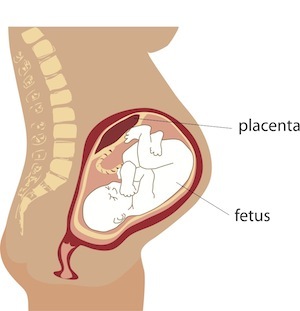 Web-based education for placental complications of pregnancy. J Obstet Gynaecol Can. 2013 Apr;35(4):334-9.